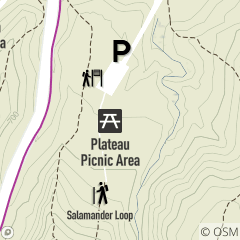 Plateau Picnic Area is located off Chippewa Creek Drive in Brecksville Reservation, west of Riverview Road in Brecksville. Get your heart pumping before slowing down to see how the eagles are doing. Come and enjoy a creek exploration. Take in the waterfall cascading down near the overlook and Deer Lick Cave.